The Burges Gallery. The Higgins Art Gallery & Museum, Bedford. The Higgins Bedford unites on one site three previous venues: Cecil Higgins Art Gallery, Bedford Museum and Bedford Gallery. The Cecil Higgins Museum, as it was formerly known, opened in 1949, housed in the former family home of its founder the philanthropic brewer, Cecil Higgins (1856-1941). The aim was to house his collection of ceramics, glass and objets d’art for the benefit, interest and education of the inhabitants of, and visitors to, Bedford. 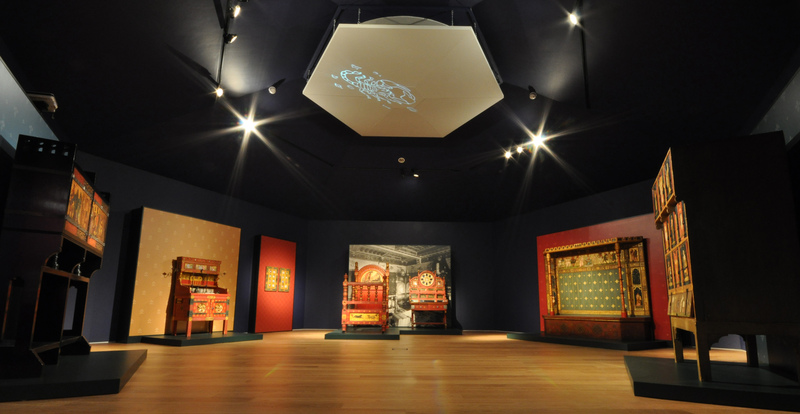 In 1971 over 200 pieces of 19th century decorative arts from the Handley-Read Collection including the William Burges furniture were purchased and in 2005, the Cecil Higgins Art Gallery merged with Bedford Museum. This visit will concentrate on the furniture from the Handley-Read Collections and also look at some of the eighteenth and nineteenth-century pieces acquired as furnishing for the rooms of the Higgins' house. 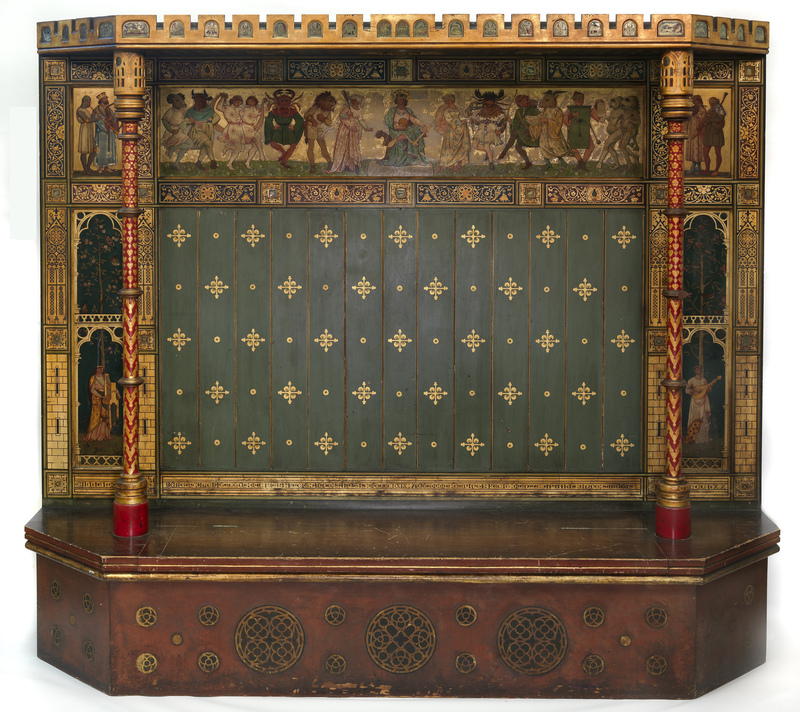 Victoria Partridge, Keeper of Fine and Decorative Art, will introduce the Museum and speak about the acquisition of Handley-Read pieces, and Max Donnelly, Curator of Nineteenth-Century Furniture at the V&A, will lead our detailed study of the furniture.